If you’re out to secure the very best self-storage in Bromley, you’ve come to the right place! Containerstorageunits.co.uk was established to bring private and professional customers alike the most flexible, accessible and enjoyable storage services for all purposes. Whether looking to offload a handful of household items or a fleet or commercial vehicles, we’ll happily watch over anything you can’t. Or for that matter, anything you don’t want to! When it comes to self-storage in Hayes and Bromley, we like to think we offer the total service package. Both for domestic and business customers alike, we go to extreme lengths to make things as simple and affordable as possible. In short, we do the hard work so you don’t have to! Our site is covered by 24/7 CCTV for total peace of mind, while all of our storage units in Bromley allow customers to enjoy free and easy access to their possessions while in storage. We take pride in maintaining a clean, dry and meticulously organised facility – all for the convenience of our clients. Containerstorageunits.co.uk customer service team is standing by to take your call, or feel free to pop by our office anytime for a chat. A little short on storage space around the home? Office slowly becoming too crowded to work efficiently? Decided the time has come to de-clutter your life without resorting to extremes? Containerstorageunits.co.uk has the container storage units in Hayes you need for an unbeatable price. 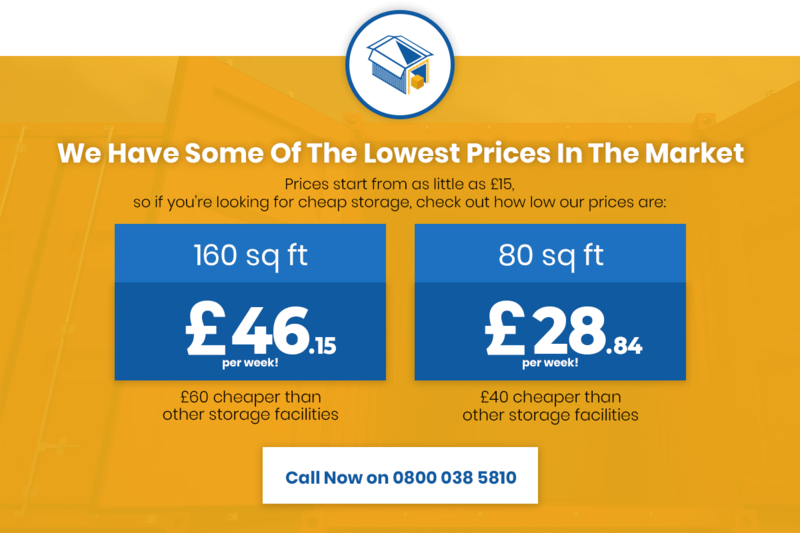 Whatever your needs for self-storage in Hayes, Bromley, Orpington or Anerley, you won’t find a better deal for a better price – guaranteed! Our container storage units in Hayes can make an enormous difference when space is at a premium. Most UK businesses and homeowners alike often find themselves struggling to get by with the limited space available to them. Self-storage in Bromley and the South East has been around for a while, but has typically been too complicated, too inconvenient or simply too expensive for the average customer. Which is precisely why we founded Containerstorageunits.co.uk in the first place. Our company is committed to providing business and private customers alike with safe, simple and super-affordable container storage units in Hayes of all shapes and sizes. Storage should be easy. Take your goods along, store them away safely and access them freely, 365 days a year. With the obvious inclusion of 24/7 CCTV security and superior value for money. Which is exactly what we’re proud to offer – simple, uncomplicated and fuss-free storage container storage units in Hayes and Bromley for domestic and business use alike.